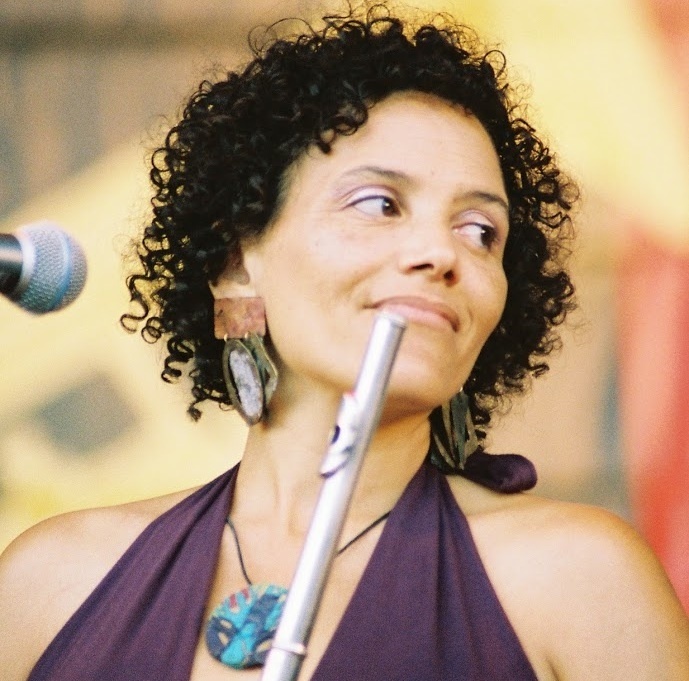 Nicole Mitchell is a creative flutist, composer, bandleader and educator. As the founder of Black Earth Ensemble, Black Earth Strings, Ice Crystal and Sonic Projections, Mitchell has been repeatedly awarded by DownBeat Critics Poll and the Jazz Journalists Association as “Top Flutist of the Year” for the last four years (2010-2013). Mitchell’s music celebrates African American culture while reaching across genres and integrating new ideas with moments in the legacy of jazz, gospel, experimentalism, pop and African percussion through albums such as Black Unstoppable (Delmark, 2007), Awakening (Delmark, 2011), and Xenogenesis Suite: A Tribute to Octavia Butler (Firehouse 12, 2008), which received commissioning support from Chamber Music America’s New Jazz Works. Mitchell formerly served as the first woman president of Chicago's Association for the Advancement of Creative Musicians (AACM), and has been a member since 1995. In recognition of her impact within the Chicago music and arts education communities, she was named “Chicagoan of the Year” in 2006 by the Chicago Tribune. With her ensembles, as a featured flutist and composer, Mitchell has been a highlight at festivals and art venues throughout Europe, the U.S. and Canada. Ms. Mitchell is a recipient of the prestigious Alpert Award in the Arts (2011) and has been commissioned by Chicago’s Museum of Contemporary Art, the Ravinia Festival, the Chicago Jazz Festival, International Contemporary Ensemble (ICE), the Chicago Sinfonietta Orchestra and Maggio Fiorentino Chamber Orchestra (Florence, Italy). In 2009, she created Honoring Grace: Michelle Obama for the Jazz Institute of Chicago. She has been a faculty member at the Vancouver Creative Music Institute, the Sherwood Flute Institute, Banff International Jazz Workshop and the University of Illinois, Chicago. Her work has been featured on National Public Radio, and in magazines including Ebony, Downbeat, JazzIz, Jazz Times, Jazz Wise, and American Legacy.